Happy Friday guys! Hope you had a great week and have some fun weekend plans ahead. My cousin is staying with us this weekend so I'm thinking shopping and wine will be in our future! 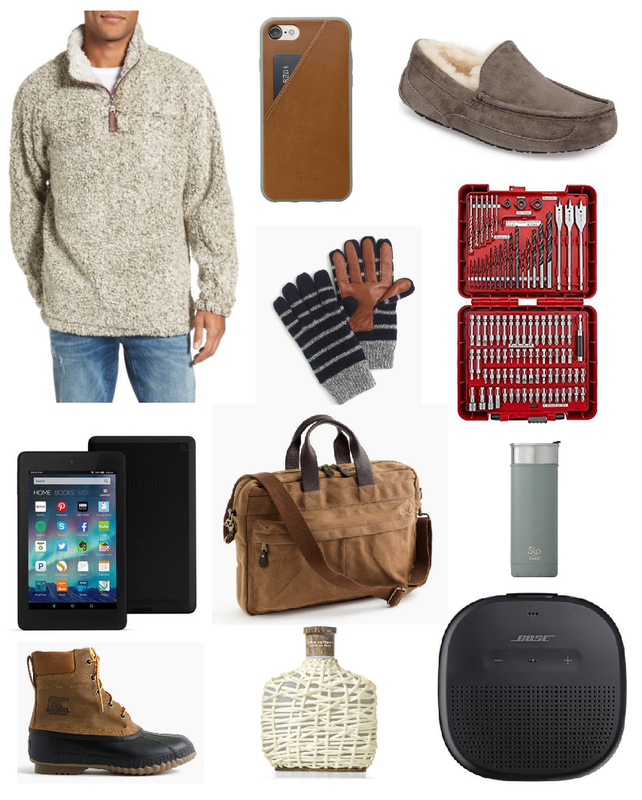 Today I'm continuing the Friday Gift Guide series with ideas for the special man in your life! I find it so hard shopping for men but honestly Nordstrom, Amazon and J. Crew make it a lot easier. I love that they have a section where they breakdown different gift ideas on their sites! I'm really excited about my picks and several of them I have actually ordered to gift to family, friends and co-workers. Hope this gave you a little bit of holiday gift inspiration and I will see you guys back on Monday! Have a great weekend! These are good ideas. I like the phone case. Really love all of these, especially the cozy jumper. Perfect gift guide! love the sweater!! great gift guide dear, especially the tools.